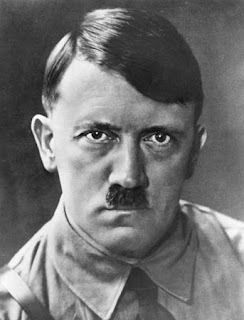 Did you know bloodthirsty dictator, Hitler was a vegetarian? or mighty president, Lincoln suffered from severe depression? Apart from the field of specialty, these men have more interesting facts that are hidden over the time or outshines by the facts which made them famous. Pardon me for being sexist, I will publish a similar list on famous women in the near future :) But for now, let’s refresh our knowledge on some famous scientists, dictators and politicians, with the following facts you probably haven’t heard of. If you know additional facts that are worth to mention, please feel free to share those with us in the comment section. 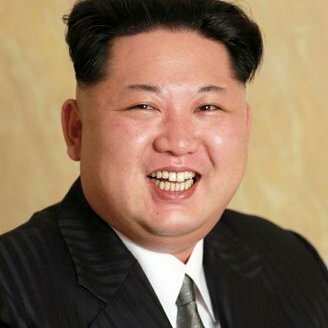 North Korean leader, 31-year-old Kim-Jong-Un is vastly regarded as a dictator due to the ruthless way he is governing North Korea and the way he is threatening the world peace with his nuclear arsenal. Despite all his anti-American acts you see in the news, he is a huge fan of two American inventions, NBA and Disney. With all his hatred towards western world, it is surprising to know that he was educated in Switzerland. We expect the man responsible for nearly 6 million deaths of Jews to be nothing short of a monster. But there are some surprising facts against this point, while others support it. He has been chosen as the “Person of the year” by Times Magazine in 1938. He was even nominated for Nobel peace prize in 1939. Strange, right? In addition, he was known to be a vegetarian. There are rumours that Hitler did not suicide, which is the popular theory on his death, but escaped to Europe and secretly lived thereafter. It’s important to mention one good thing Hitler has done. He has carried out the world’s first anti-smoking campaign. 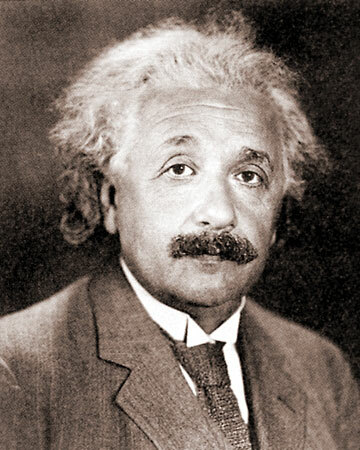 The theories put forward by this genius is famous all around the world. Lot of us know he won a Nobel Prize, pioneered in making of atomic bomb. But how many of us know he suffered from autism in his childhood? This fact can actually cheer up the parents having autism children. And it is not surprising to know that his elder son went on to become a physics professor, but isn’t it quiet puzzling to know that his other son had to spend number of years in a mental institution. Bearing a great mind didn’t stop Einstein screwing up his first marriage with a divorce and going on to marry his cousin. He was obsessed with his violin and his pipe. One last fact of Einstein is that he regretted his involvement in building the atomic bomb, which shows his humane qualities. It is true that, this person is not that famous compared to other men in this list. But his contribution to field of Mathematics has surely earned him a high popularity in scientific community. 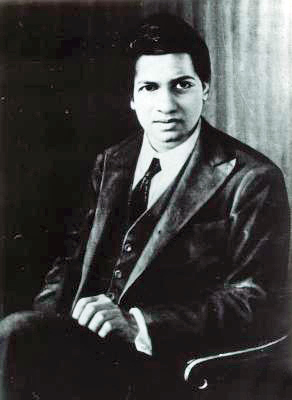 Ramanujan was a brilliant Mathematician. But he has never stepped in to a higher education institute in India because he failed high school examination. It was due to lack of focus on subjects other than Mathematics, as he was deeply obsessed with Maths. Fortunately, a Mathematics Professor in England got to know by a letter Ramanujan sent him, resulting to bring Ramanujan to England. There he compiled numerous theorems on modular functions, partition functions as well as summation formulae. As he was a strict Brahmin, had a difficult time in England, because he had to cook for himself and ate only vegetarian food. He was married in the age of 10, which didn’t stop him from going on to find mysteries in Maths. However, with the ill health, this genius passed away at the age of 32. His importance to India and Mathematics is evidence as Indians celebrate “National Mathematics Day” on Ramanujan’s birthday. 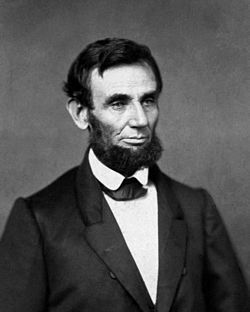 Regarded as one of the most successful presidents of America, he is well known for abolishing of slavery, commanding in civil war, and of course, his charismatic personality. His early life was not as beautiful as it seems. He lost his mother when he was 8 years old. His fiancée too died, leading Lincoln’s life to tragedy. He has suffered from severe depression. Some sources state he never carried a knife, afraid of killing himself. Although he ruled an entire country, his wife didn’t let him to rule in home. His marriage life was a failure, but it had lead Lincoln to focus more on presidential work. Along with Thomas Alva Edison, Nikola Tesla can be placed as the best inventors ever lived on earth. But Tesla is not as famous as Edison, and the reason is Tesla’s absurd introvert personality thus living in isolation from the outer world. Hence it has resulted in number of weird facts about Tesla. To start with, it is believed that Tesla suffered from a mental disorder called “obsessive compulsive disorder”. This fact is proved with his obsession to number 3. He once believed that, he has received radio signals from aliens. He had an unusual fear for jewellery. To add to this strange behaviour, he is said to have locked up in his laboratory for months when experimenting cutting off all the connections from outer world. However, on the other hand, he is known to be a brilliant electrical engineer. He had good memory powers and was fluent in 5 languages. Because of Tesla’s bizarre personality, he was labelled as a “mad scientist”. Nevertheless, it must be known that without him, alternative current system would not have existed. 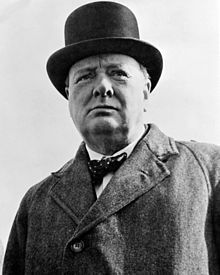 Unarguably, the greatest orator United Kingdom has ever produced, and a brilliant statemen who joined with Roosevelt and Stalin to finish WWII, Winston Churchill lead a rather enigmatic life. He was always seen with a cigar and there exists a separate type of cigars named “Churchill Cigars” in honour of late prime minister. Descending from a high-class family from England, he had different skills apart from leading an empire. He has served as a historian and a writer, and surprisingly winning the Nobel Prize for Literature in 1953. He is well known for sarcastic comments. Once when a woman MP said to Churchill, “if you were my husband, I’d poison your tea”, he quickly responded, “Madam, if you were my wife, I’d drink it!” You may find similar dialog here I decided to finish my article with one of his quotes, “Courage is what it takes to stand up and speak: courage is also what it takes to sit down and listen”.